Like most lockscreen replacements, there are limitations in functionality for what developers can implement, and it may not perfectly integrate itself into Android, but it's much more seamless than I expected. A simple swipe up takes you to your actual lockscreen for password, pin, or gesture entry—Ava doesn't have any of that on its own. Neither the fingerprint sensor or face unlock (as on OnePlus phones) can be triggered until you make that swipe. Using the fingerprint sensor to both wake and unlock the device bypasses the lockscreen entirely, same as before. In the case of my OnePlus 6, it adds about a half second to the unlock process before it dumps you inside. That's not really a big deal, but it isn't as instant as it was before, and if you use Ava you'll need to remember that you'll need to navigate to the pin/password entry page before your fingerprint can unlock the device. All the widgets you could want on your lockscreen. You can also add your own widgets to the lockscreen, just like back in Jelly Bean. They aren't integrated with your notifications, though. Widgets get their own space, accessible via a swipe to the right. So far as I can tell, anything you can add to your homescreen can also be placed on the lockscreen via Ava. Although widgets placed in Ava can be interactive, they can't open apps. That can make the setup process for customized widgets via tools like KWGT a bit more tedious. One of the more nifty features Ava adds is the ability to respond to notifications from the lockscreen (if you enable it). 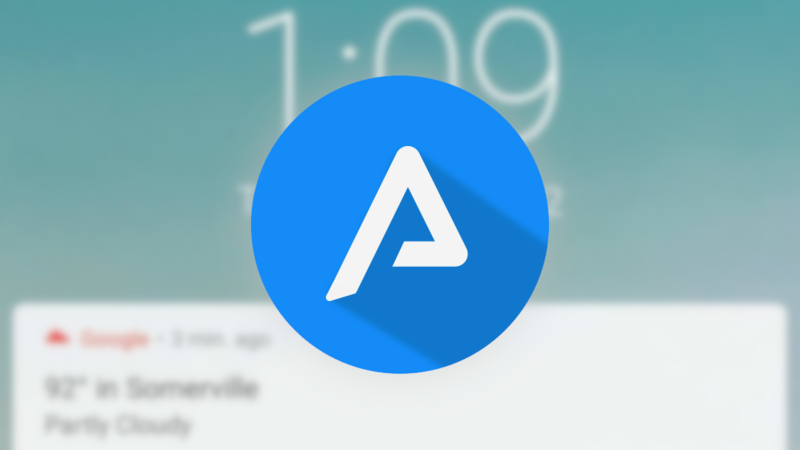 Typically you can only reply via a notification in Android if the device is unlocked, but if you're willing to accept the slight loss in security, Ava gives you that same convenience from the screen of a locked device. Overview of the setup process and options. The setup process for using Ava is straightforward and simple. To be honest, I don't really think I need to describe it in too much detail, as it walks you through the steps required pretty well. All it really needs is notification access, which is nice. Many of the more useful features, like the music widget and lockscreen notification replies, are disabled by default, so you'll have to turn them on if you want to see them in action. Ava Lockscreen is free, too, with a full unlock for the "Pro" version at $2.99 plus tax. Most of the fun features I've described are also disabled in the free version, with options for wallpaper, clock settings, shortcuts beyond one, and notification counts all unavailable until you drop some cash, and that's just when it comes to lockscreen settings. Most of the notification and widget settings also require you splurge. But even if you choose not to, the app doesn't include any annoying ads. The utility of customization like this is debatable, but there will always be those that strive to make their gadgets theirs in every possible sense. Specific workflows could also benefit from having access to widgets from the lockscreen, as Ava provides. And you can give it a try for free yourself over on the Play Store and APK Mirror.